This very large split level is being offered in its “AS IS” condition. This home includes 4 bedrooms and 2.5 baths. The master bedroom with brand new bathroom and an additional bedroom are found upstairs. Two additional bedrooms, a full bath, laundry room, and a huge family room are found on the lower level. 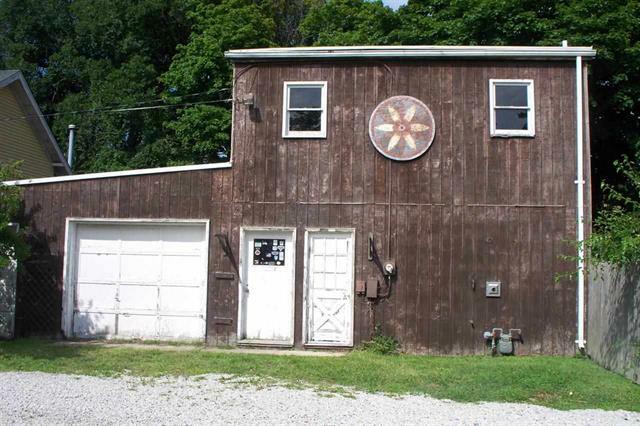 The two car detached garage offers tons of room for the handiman of the house. The large deck off the kitchen is great for entertaining. 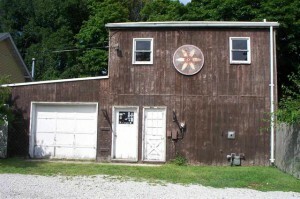 This home does need some TLC but it is perfect for the growing family. 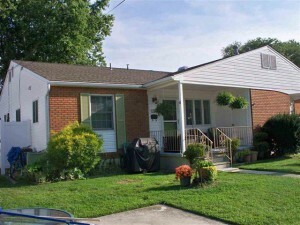 Pride of ownership abounds in this 2 bedroom 1.5 bath home in a family friendly neighborhood. Inside you’ll find a lovely new kitchen with breakfast nook, all seasons Florida room, laundry room, and spacious living room with bow window. 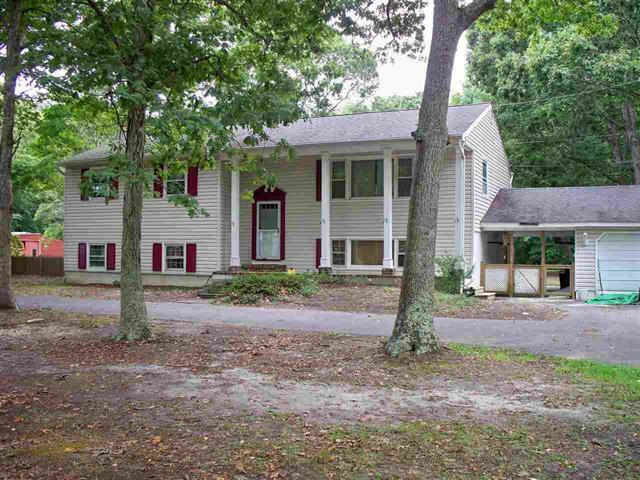 Outside you’ll find a newer roof, newer vinyl siding and windows making this a virtually maintenance free home. The front porch is a great spot to sit and enjoy the cool breezes of summer while admiring the manicured lawn. Don’t let this charming home get away! Author adminPosted on September 15, 2014 September 15, 2014 Categories Real Estate SalesLeave a comment on AMAZING RANCHER! This home is the ideal combination of Cape May’s beloved Victorian charm and modern comfort. 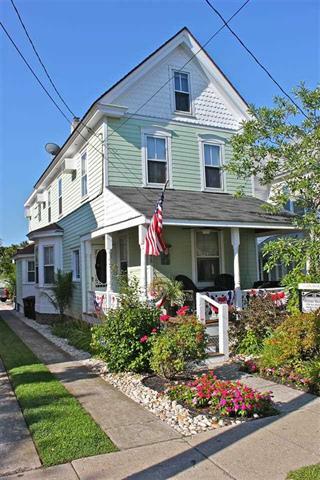 Only 4 short blocks to stunning beaches and steps from shopping and dining you will find “Heart & Sole” a 4 bedroom 2.5 bath Victorian featuring the perfect marriage of old world Cape May appeal and seaside whimsy. Enjoy people watching in the summer from the large front porch with Brazillian mahogany flooring and in the winter this is a great spot to catch the annual Christmas Parade. The rear of the house includes off street parking, paver patio, rear deck, and entrance to the mudroom. Enter the front door into the entryway which leads to the living room, front parlor, eat-in-kitchen, powder room and washer and dryer. The second floor includes 2 bedrooms, a full remodeled bath and a large master suite with additional remodeled bath. The third floor consists of one large bedroom which sleeps four. This lovely home was built during the early 20th century and was remodeled and updated by the current owners in the 1990’s. This home maintains all of it’s original Victorian charm but also boasts many improvements including newer electric, plumbing, insulation, maintenance free fiber clapboard siding plus much more. This property has established a strong rental history with a faithful following of return guests. 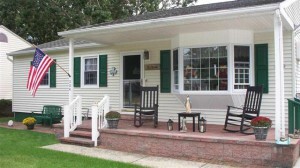 Make this your future second home, beach home, investment home, or full time piece of Cape May Victoriana! The ideal combination of Victorian charm and modern comfort is what you will find in this super clean 4 bedroom, 2.5 bath home. Directly across the street from Wilbraham Park sits this early 20th century charmer which has been lovingly updated and cared for by the current owners. Improvements include newer electric and plumbing, insulation, maintenance free fiber cement clapboard siding and Brazilian mahogany flooring on the front porch and so much more. This property also has a strong rental history with many return guests. This home is the perfect marriage of old world charm and seaside whimsy! 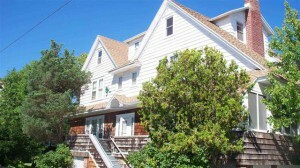 Make it your second home, beach home, investment property or full time piece of Cape May Victoriana. Author adminPosted on September 5, 2014 November 24, 2014 Categories General, Real Estate SalesLeave a comment on VICTORIAN CHARM! This adorable street side quad is priced to sell! Located in a desirable neighborhood a short distance from beaches, shopping, dining, theater and arts. Inside this 3 bedroom unit is additional storage and sleeping space in the renovated attic. The current owner has lived in this home year round but similar units are used as summer rentals. Don’t let this charmer at the beach get away! TURN OF THE CENTURY CHARMER! We have just listed this turn of the century home with 7+ bedrooms and 5 full baths. Located on a lovely corner lot in a very desirable part of town close to beaches, shopping and dining. Inside you’ll find many original features such as the wood burning fireplace and hardwood floors. The handiman will enjoy the full standup attic and the detached 1 car garage with work room. This home awaits the discerning buyer with a vision for the amazing potential yet untapped! Author adminPosted on September 3, 2014 Categories Real Estate SalesLeave a comment on TURN OF THE CENTURY CHARMER! 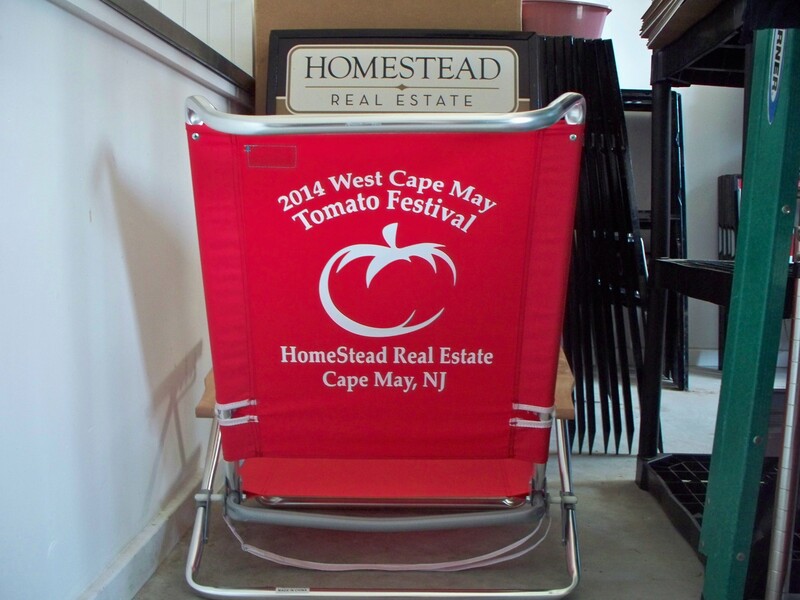 This Saturday stop by the Tomato Festival in Wilbraham Park in West Cape May. Be prepared to enjoy all things tomato! Our sales agents will be there under the Homestead tent to answer any questions you may have regarding Real Estate. Whether buying, selling or renting we are here for you. Don’t forget to enter the drawing for the Homestead Tomato Festival beach chair. See you Saturday! 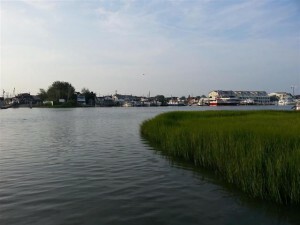 The price has just been reduced on this amazing waterfront property south of the canal. There are lots of possibilities here, residential, commercial or pleasure. The property consists of a combination of a residential 1.33 acre lot along with a 3.59 acre narrow peninsula that runs along Spicer Creek. Approvals are in place for a 3 bedroom house along with out buildings and septic on the 1.33 acre lot. Don’t let this waterfront property with spectacular views in an amazing setting get away! Calling all builders and investors! 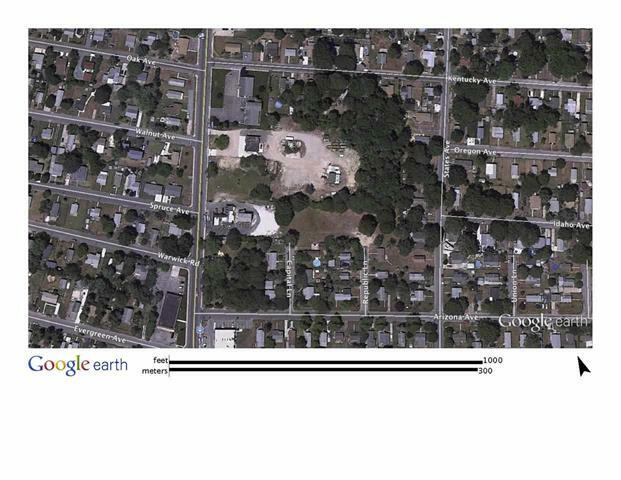 The price has just been reduced on this rare opportunity to purchase a huge parcel of land which offers multiple uses . Approvals are in place for a subdivision of 19 homes plus 2 commercial lots (potential for 23 homes total), or a self storage facility with designs for 190 units plus a commercial building. This property is in a desirable location close to shopping, schools, beaches, and local attractions. Don’t let this rare opportunity pass you by. This is one of the most unique properties in Cape May. It is possible to create your dream oasis in the center of town just steps away from shopping, dining and beautiful sandy beaches. This project is not for everyone as it is a complete rebuild. If you have a vision it has great bones and its possible to turn this cabin into a castle!